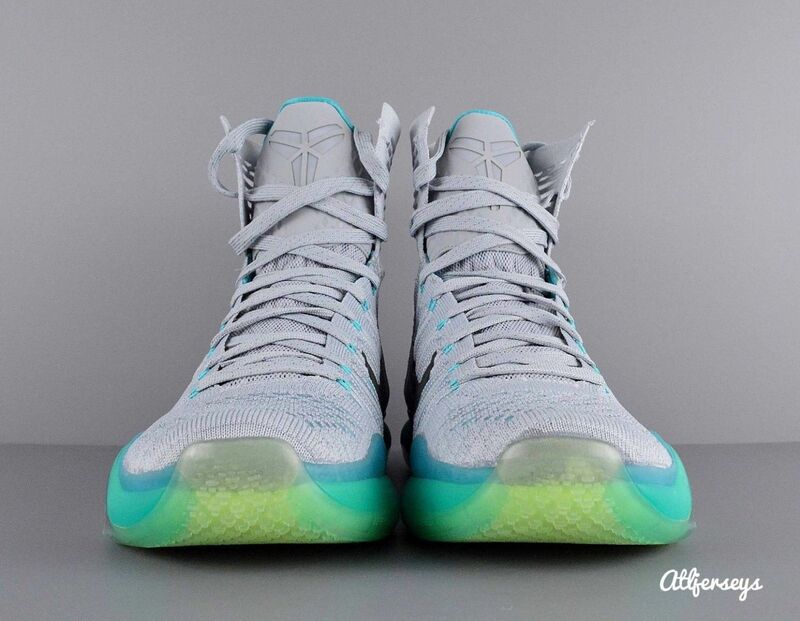 As soon as word of the Nike Kobe 10 Elite Low HTM pairs hit the Internet, the original Elite Kobe 10 took a hit in terms of popularity, as everyone was suddenly clamoring for the HTM take. 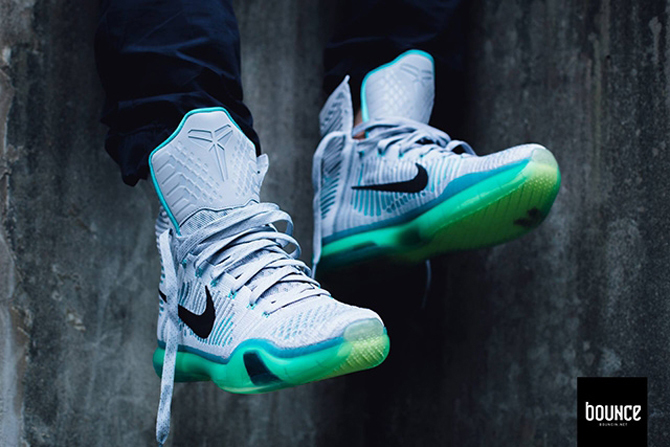 That doesn't mean that the High is just going to fade into the background though – there are still two more retail releases on the way for the shoe. 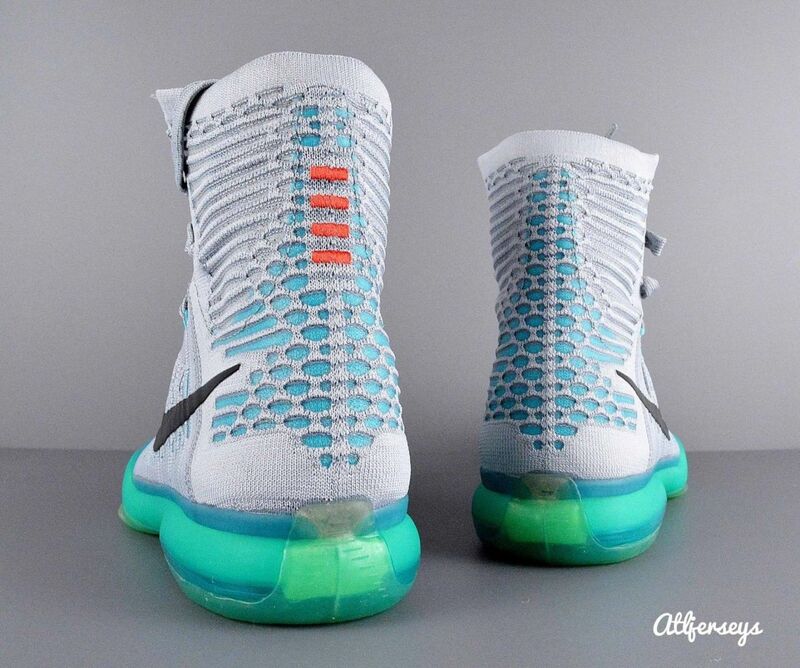 The "Elevate" shown here is the brighter among them with its Flyknit mixture that uses wolf grey and the blue "light retro" shade. 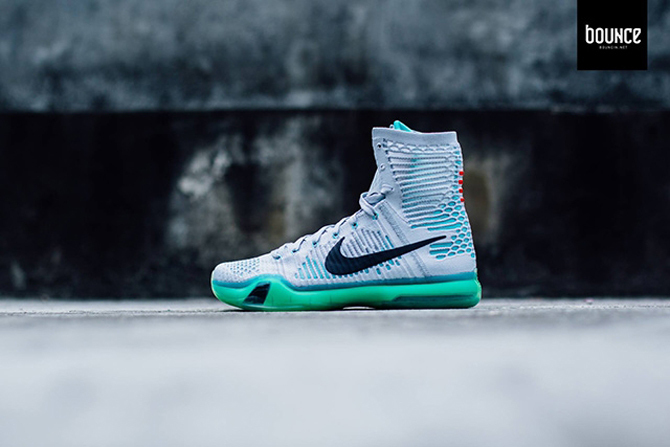 The Nike Kobe 10 Elite "Elevate" will release on May 15 along with the KD and LeBron styles from the "Elevate" Nike Elite collection. 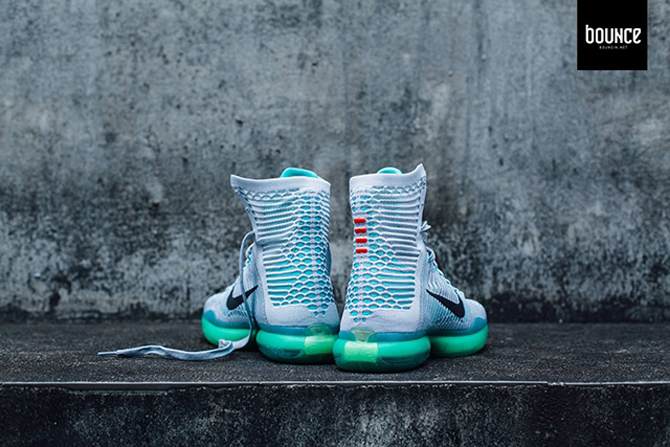 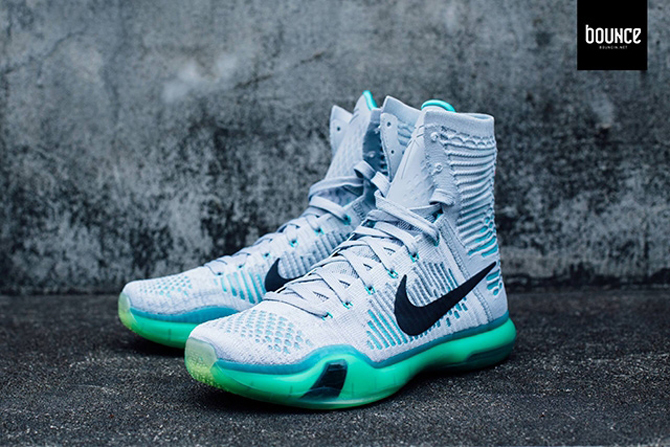 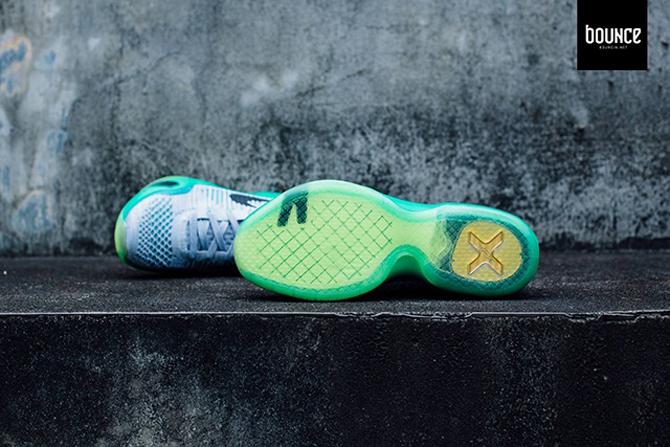 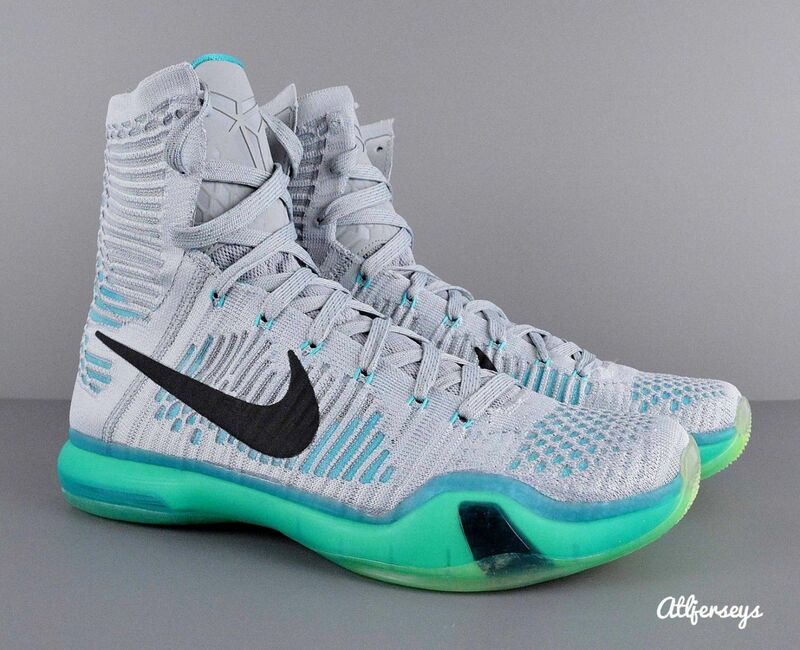 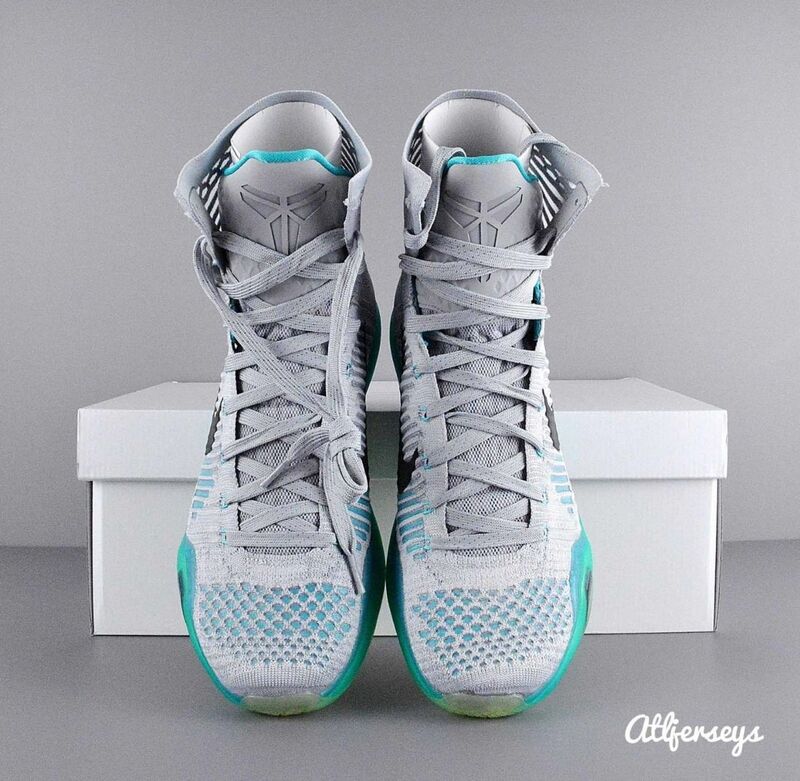 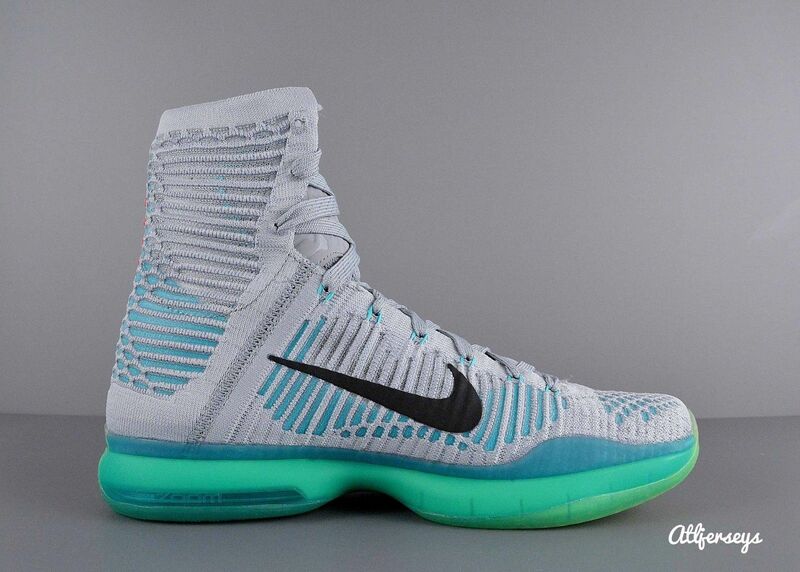 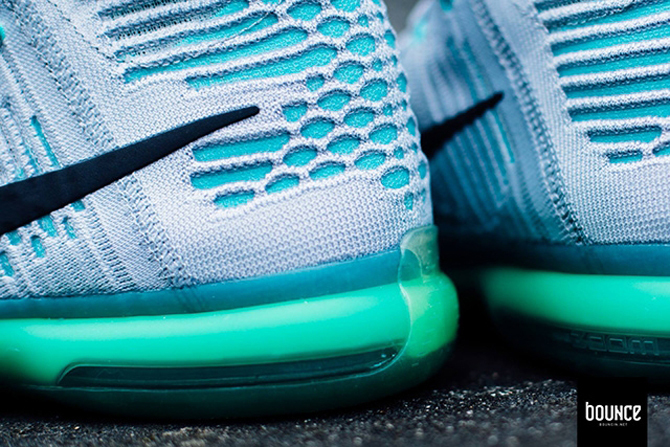 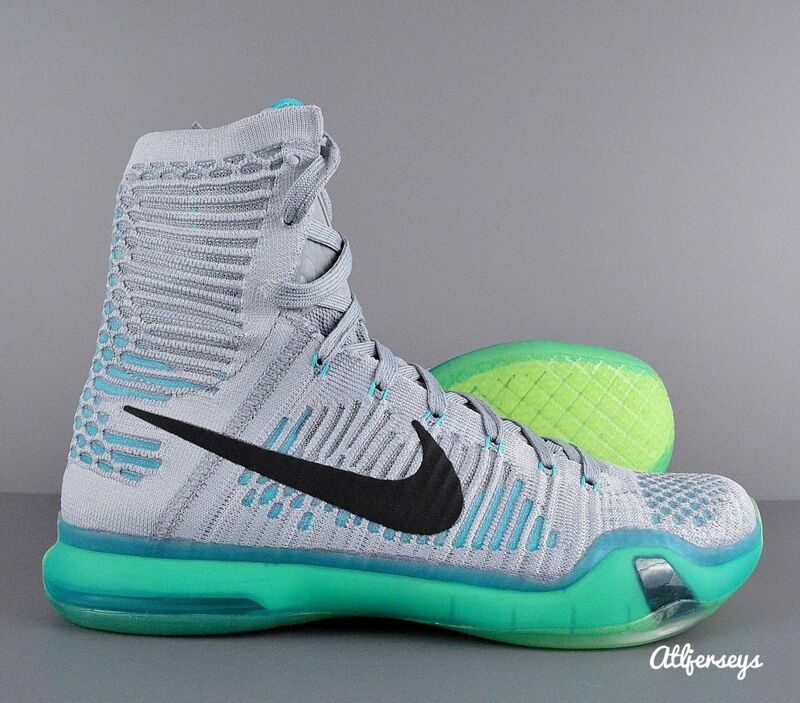 Nike Kobe 10 Elite High "Elevate"
UPDATE 5/5: More images on the "Elevate" Kobe X Elite.